In today's business environment with increasing competition from internet companies Greenwood Village based Catch Fire Marketing has announced the launch of its Bcardsnow.com internet-based printing platform. (GREENWOOD VILLAGE, Colo.) -- NEWS: In today's business environment with increasing competition from internet companies Greenwood Village based Catch Fire Marketing has announced the launch of its Bcardsnow.com internet-based printing platform. "Having a complete, and through online complement to the traditional brick and mortar business is critically important," says owner Steve Bocher. "We recognize that not every business wants to speak to someone or needs to visit our location to touch and feel paper and see examples. 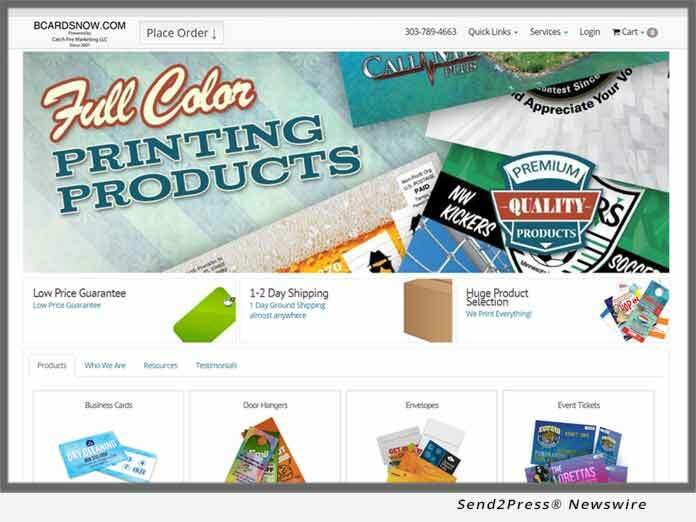 This new on-line print platform allows us to compete with anyone in the on-line print space." From the company's inception in 2001, Catch Fire Marketing has been working with diverse types of business with the objective of helping them grow their sales through effective marketing throughout Colorado and continental United States. Examples of clients include: schools, non-profits, franchises, professional service providers, restaurants, Realtors, insurance companies, manufacturers, sales organizations and more.